Welcome the newest members of the Structures family, Mike and Janet McClain! The lot has been cleared for their Old Village Custom Home and with the clearing came an unexpected surprise. 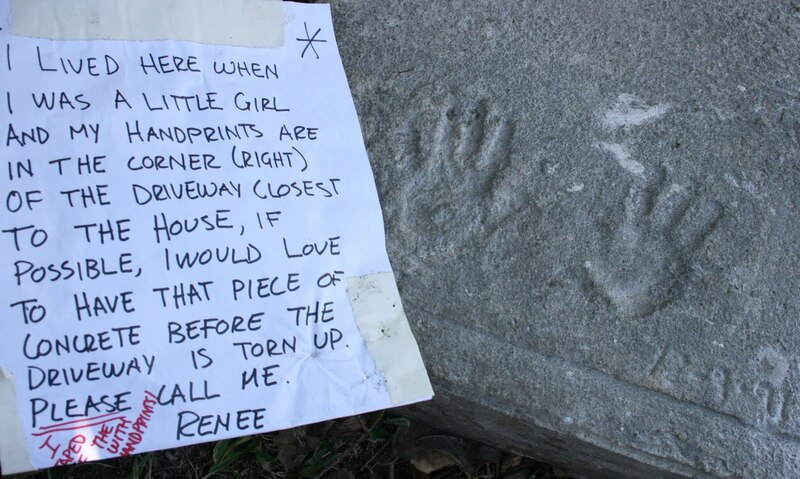 A note was found on the driveway from Renee explaining that she lived in the previous house on this lot as a child and left imprints of her hands in the concrete when the driveway was initially instated. With the help of A.B. Evans, we were able to secure the handprints in a block of concrete and return it to her. This lot has preserved many memories and we hope the McClains will continue to make many more.